We recently attended York College’s Employability fair as part of National Apprenticeship Week at the start of March. 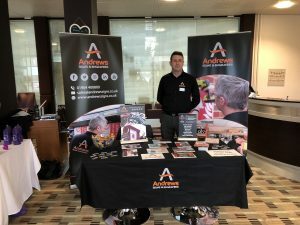 It was a fantastic opportunity to meet young people and discuss career prospects within the sign manufacturing industry. 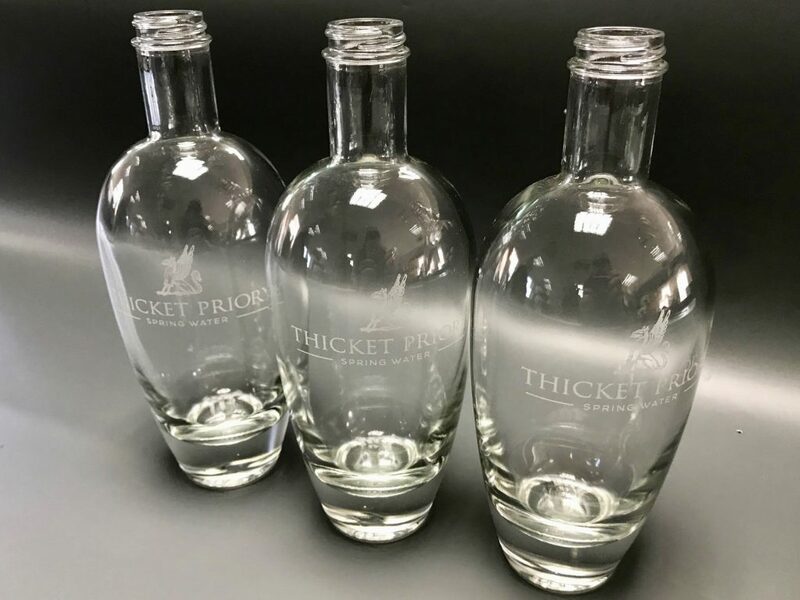 Last week we finished a fun job of 60 laser engraved glass bottles for Thicket Priory, a beautiful and unique brand new wedding venue here in our beautiful North Yorkshire! 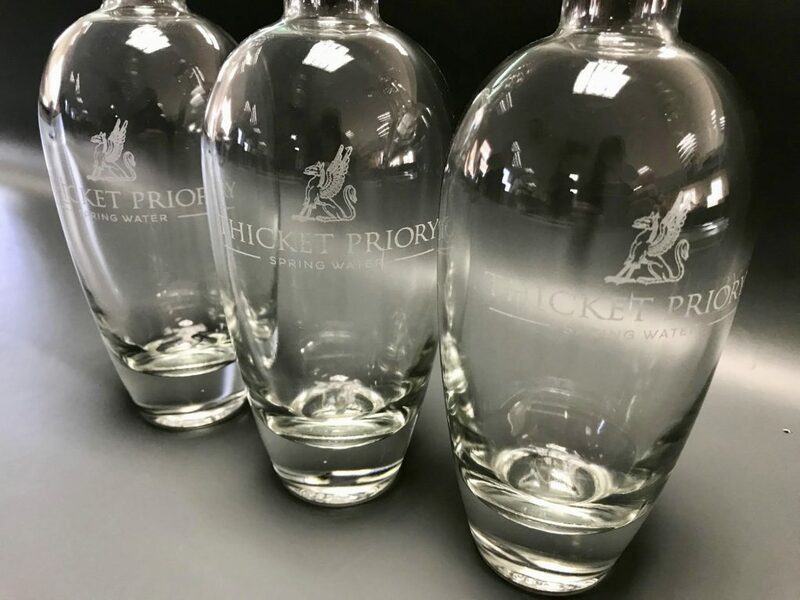 Engraved glass water bottles are an ideal asset to enhance your venue’s sleek branding everywhere your customers look. Our laser engraver can also engrave any bespoke design onto an array of tableware: wine, beer and gin glasses! Contact us now for more information. 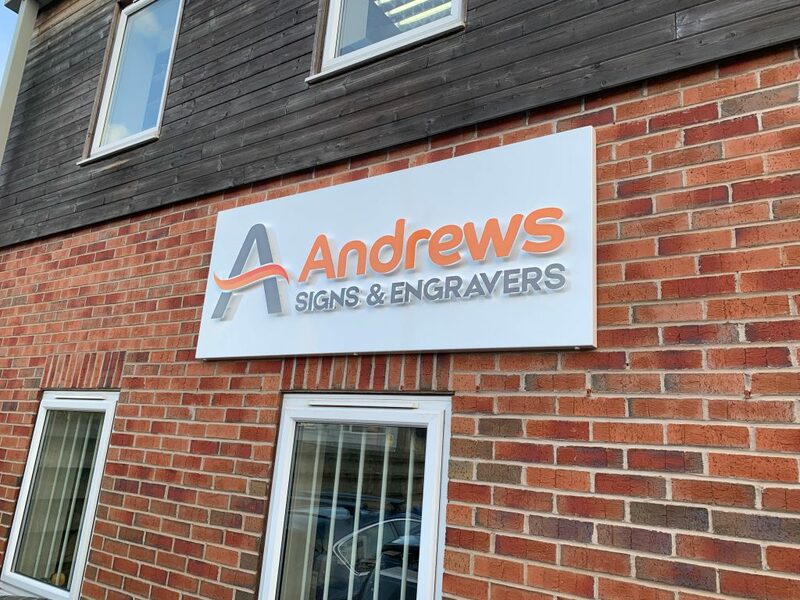 After celebrating our 10th year in business last Summer, we are proud to announce we have just launched our brand new logo for Andrews Signs and Engravers! 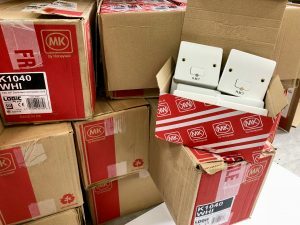 Over the last decade, the business has evolved and grown and for this reason, we decided it was time to launch a fresh new brand to reflect our signmaking and engraving expertise. 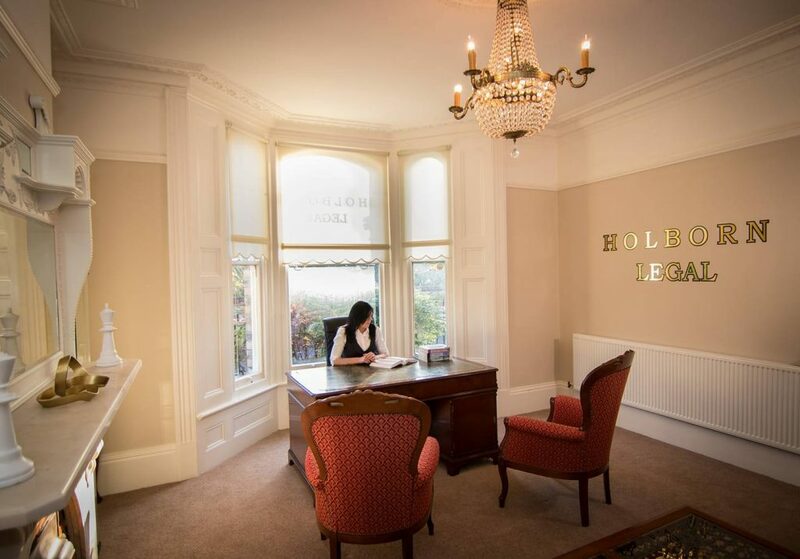 We believe this new look better matches our ethos and mirrors the business, where it is today. Branding is just one of our specialities! We have on-site graphic designers who can see the process from an initial brief all the way through to installing your new signage, shop fronts and wall graphics. We would also just like to say a massive THANK YOU to all of our customers and friends who continue to always support us across all aspects of our business, both online and offline! We look forward to interacting with customers old and new this year as we move into this new chapter for our business. 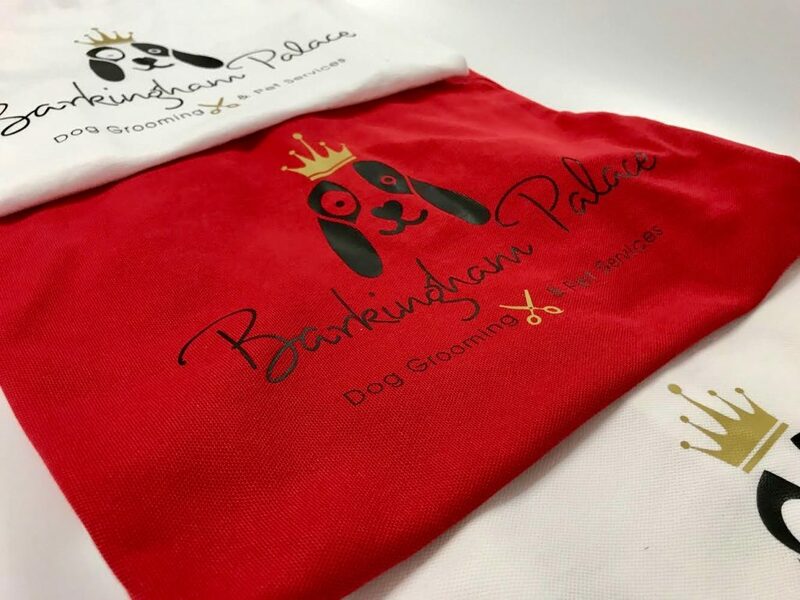 Here is some customised work clothing we sent out last week to Barkingham Palace, York! We loved working on this job. It shows how we really do print onto almost any material! So please do get in contact with our team for all of your bespoke clothing requests. 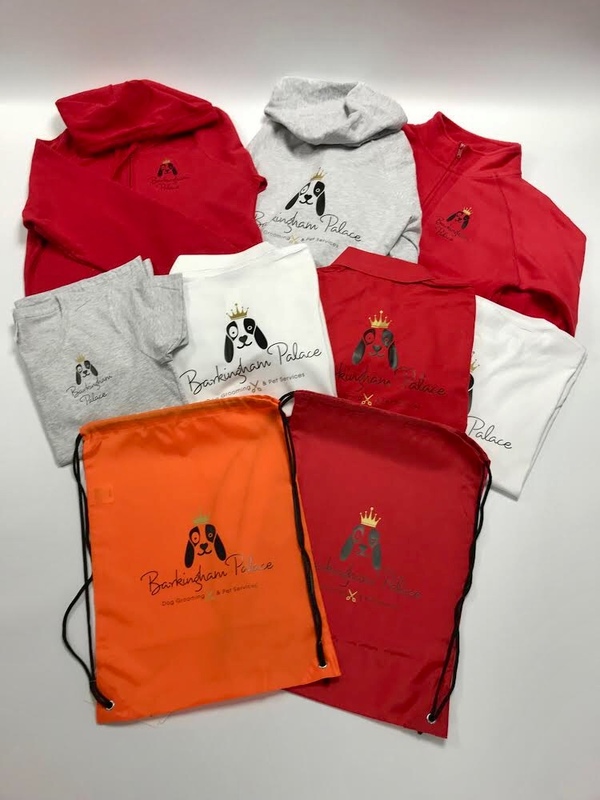 Visit our printed clothing page by clicking here. 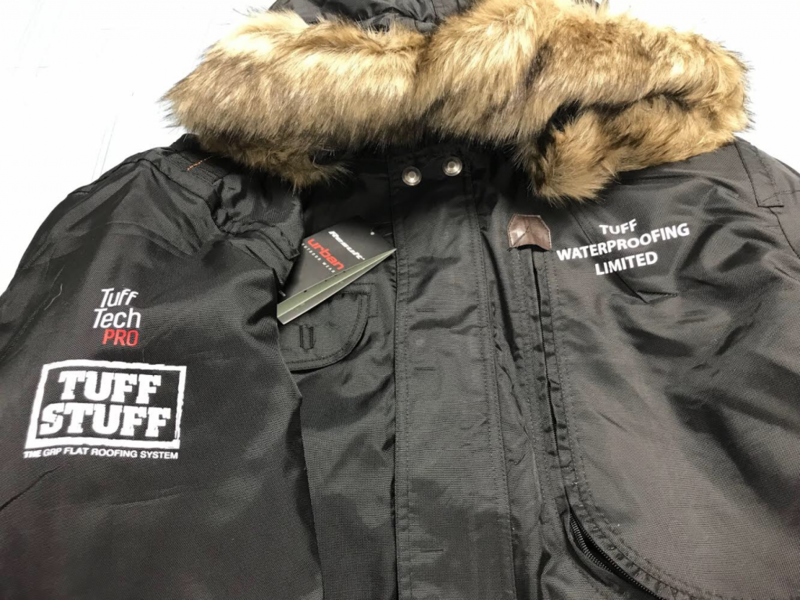 New branded outdoor coats as workwear for TuffStuff – the advanced seamless GRP – Glass Reinforced Polyester resin based system! 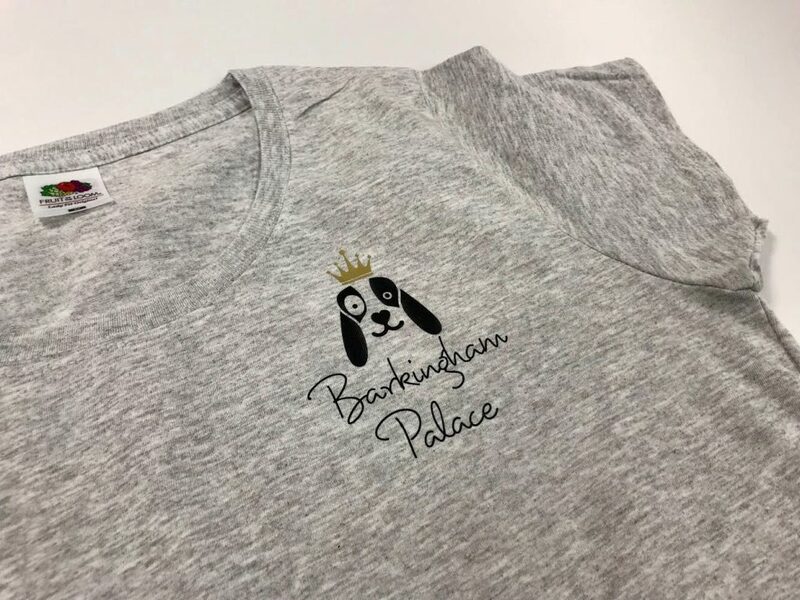 We can print only almost any type of clothing! We have a large range of off the shelf work and fitness wear, or you can supply your own clothing for us to brand. 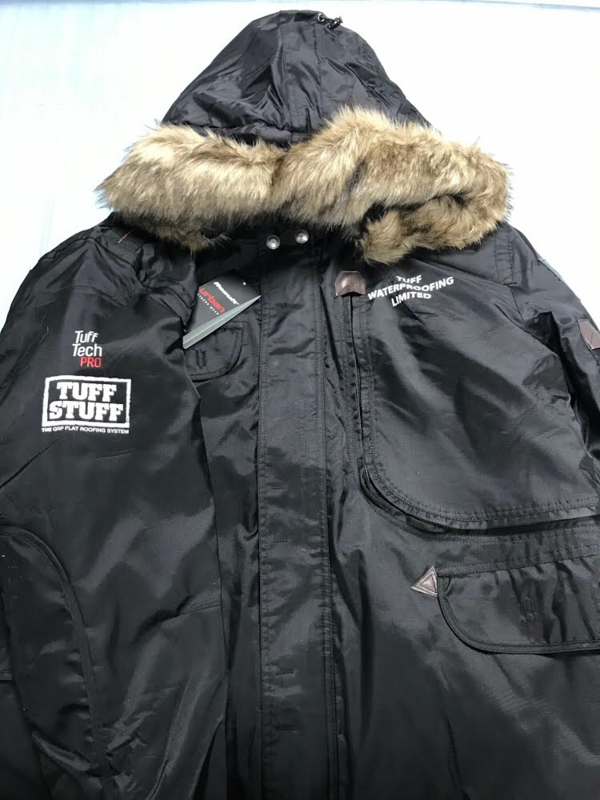 If you work outdoors as part of your business, branded or personalised warm outdoor coats are the perfect asset to make your brand known! Check out the page on our website dedicated to Printed Clothing! 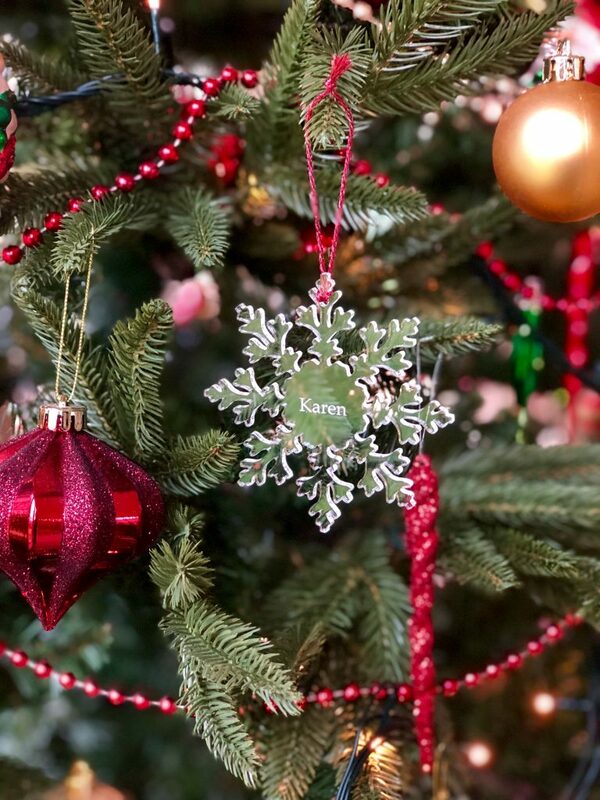 Although Christmas is over and we are officially back in work-mode, we couldn’t help but share this beautiful picture sent to us of one of our personalised engraved Christmas decorations we sent out. We make decorative gifts to a wide range of specifications, please do not hesitate to contact us for non-Christmas related gifts! Such as; new home personalised gifts, baby shower personalised gifts, 18th / 21st / 60th birthday personalised gifts and graduation personalised gifts . 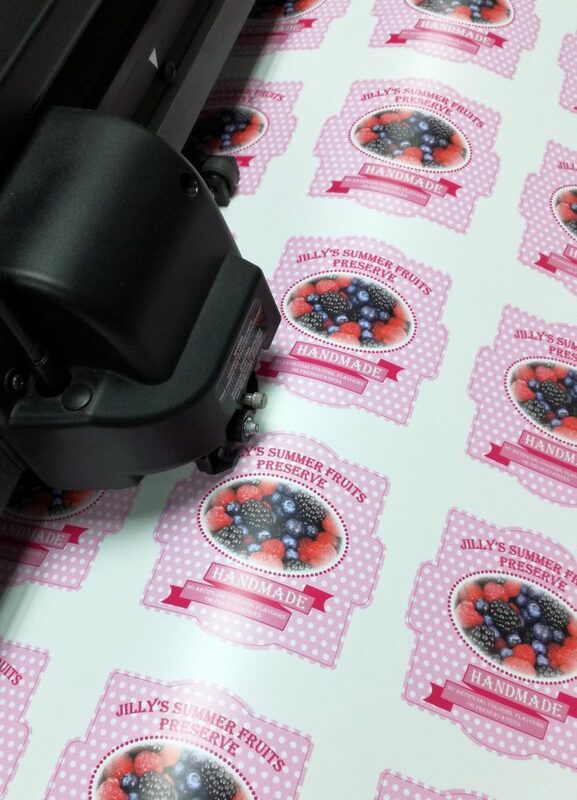 We produce all types of labels and stickers, any shape, size, colour or quantity!! 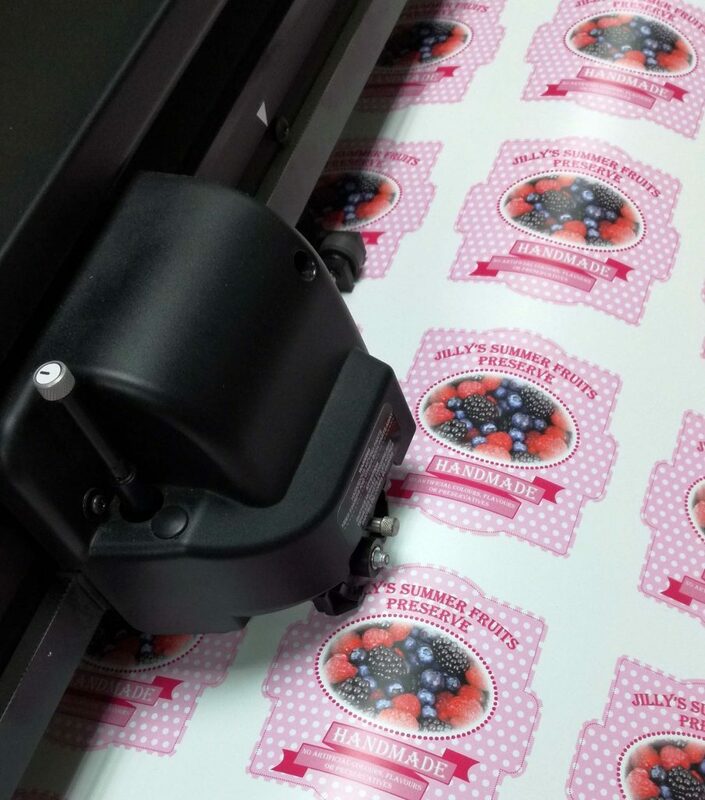 From ‘Well Done’ labels for teachers, to batches of branded labels for your business. 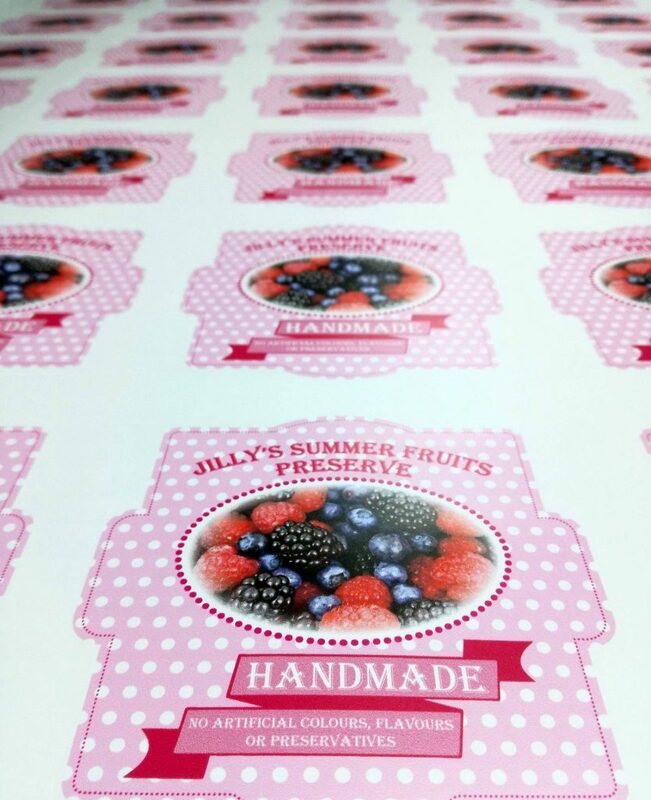 Here are some personalised jam jar labels we recently sent out. Furthermore, we can print any bespoke design to fit your request! Our in-house design team can assist in fulfilling your specifications; any design, logo or style can be incorporated into your design. Create a fantastic first impression for your customers with window and wall graphics! 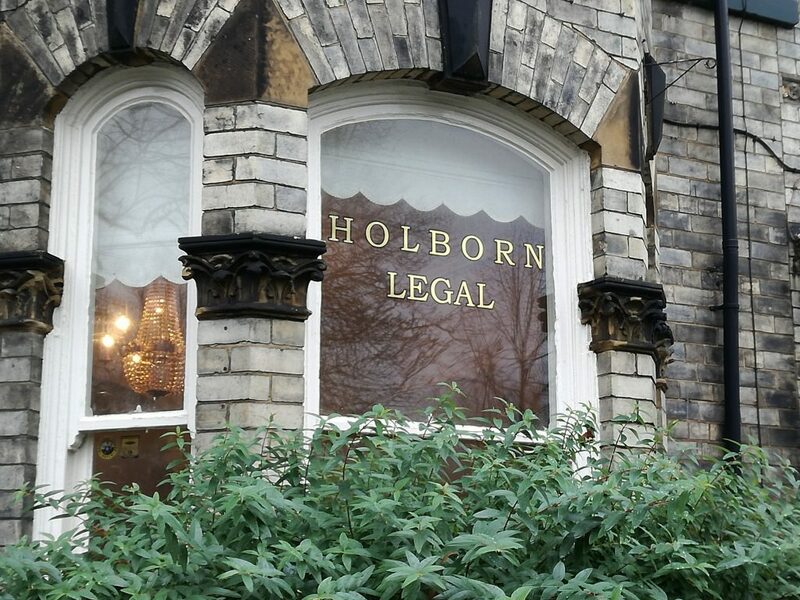 Here are some we did recently for Holborn Legal in York! 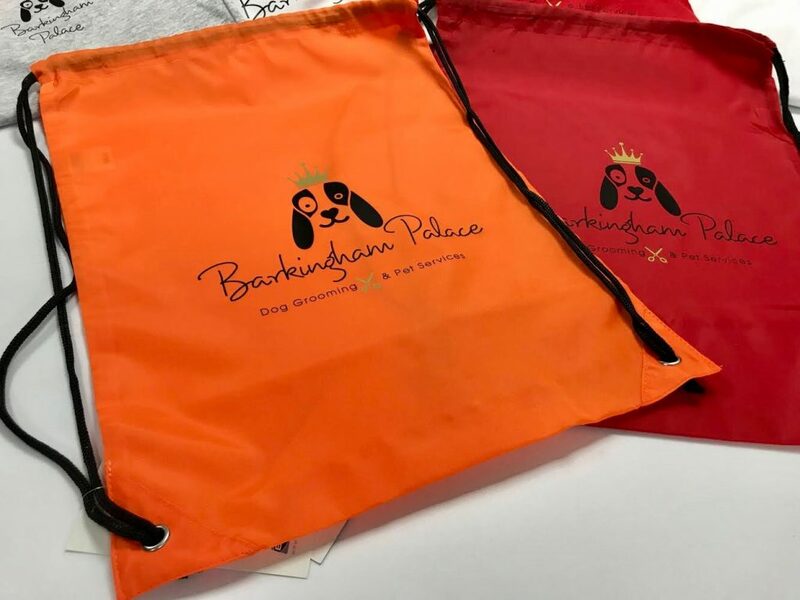 Our specialist team can advise on all aspects from: design and print, size and shape and they can then manufacture to specifically reflect your brand image. 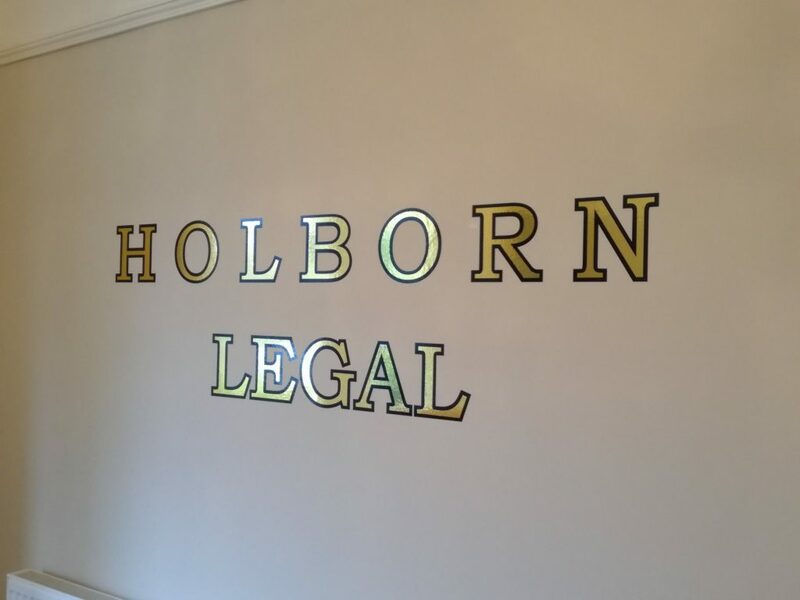 It’s as easy as supplying us with your logo or graphics and we can incorporate it into beautiful interior signage! And even better – at an extremely competitive price!! 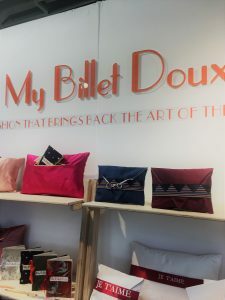 Acrylic cutout signage sent out for My Billet Doux‘s exhibition at Top Drawer London! Check out her page for luxurious gifts, hand-made in York. 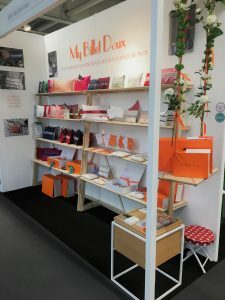 We manufacture an array of exhibition stands, banners and signage. Click here for more information! 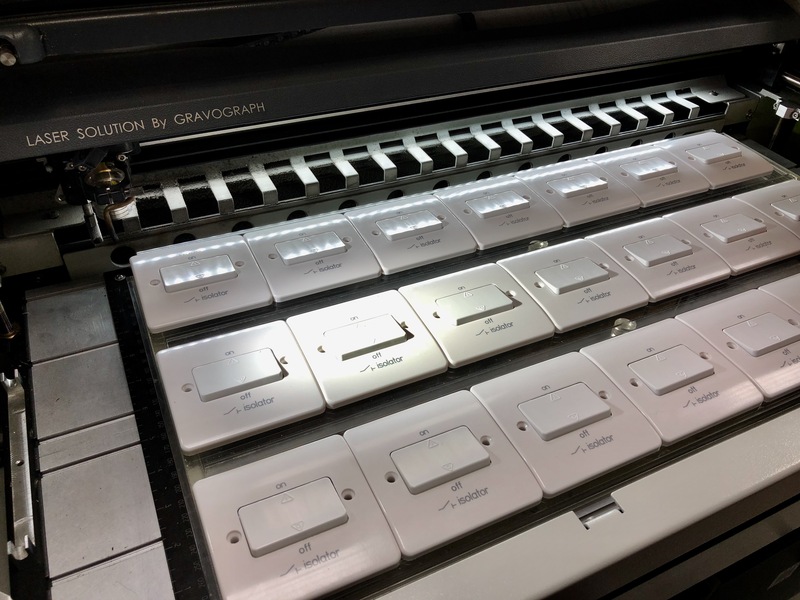 Using state of the art machinery, we engrave masses of electrical switches for any application or industry from our premises in York every day. 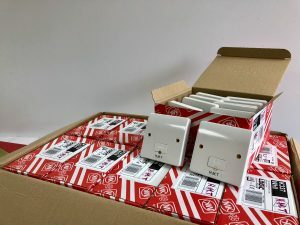 Here are some photos of an order we just sent out to a customer for 900 switches!